To achieve the Triple Aim of Healthcare (better care, better health, and lower costs), it is critical that primary care providers be aware of appropriate means of disease prevention and detection, particularly for heart disease and cancer, the two leading causes of death in the US. This session is specially designed for internists, family practitioners, and other primary care clinicians. After completing this activity, participants will be better able to implement the latest evidence-based guidelines for heart disease and cancer screening in front-line practice settings. The intended audiences for this initiative include internists, family practitioners, and other primary care clinicians on the front-lines of patient care. This Enduring Material activity, Preventive Health for Adults: Current Guidelines for Heart Disease & Cancer Screenings, has been reviewed and is acceptable for up to 1.00 Prescribed credit(s) by the American Academy of Family Physicians. AAFP certification begins 1/15/2019. Term of approval is for one year from this date. Physicians should claim only the credit commensurate with the extent of their participation in the activity. 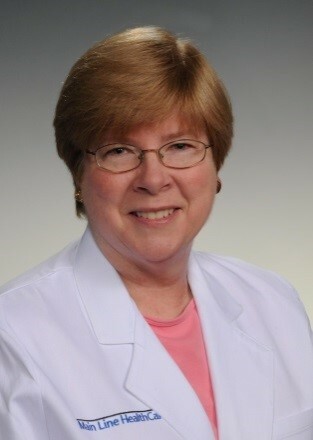 M. Susan Burke, MD, FACP is a Clinical Associate Professor of Medicine at the Sidney Kimmel Medical College at Thomas Jefferson University in Philadelphia, PA; an Adjunct Associate Professor of Geriatrics at the Philadelphia College of Osteopathic Medicine in Philadelphia; and Senior Advisor of Lankenau Medical Associates at the Lankenau Medical Center in Wynnewood, PA, where she has been a clinician and teaching attending for more than 30 years. Having earned her medical degree from the University of Pennsylvania Perelman School of Medicine (Philadelphia), she completed a residency in internal medicine at Lankenau Hospital (now the Lankenau Medical Center). Dr. Burke is board-certified in internal medicine and geriatrics and is a Fellow of the American College of Physicians. A 2-time recipient of the Osler-Blockley Award for Excellence in Clinical Teaching from Thomas Jefferson University, Dr. Burke also has received the residents' award for best teacher from the Lankenau Internal Medicine house staff. She has been named Best Doctor for Women and, more recently, Top Doctor by Main Line Today magazine. Dr. Burke lectures nationally and has published chapters and articles on numerous primary care and geriatric topics, on continuing medical education websites, and in publications such as the Journal of the American Osteopathic Association and Annals of Long-Term Care. 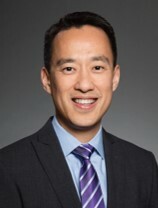 Jimmy Chen, MD is a Clinical Assistant Professor of Medicine and has been on the faculty at Stanford as a family physician since 2010. He completed his medical training at Baylor College of Medicine in Texas and then completed a family medicine residency at University of California, San Francisco (UCSF). Dr. Chen currently serves as the Lead Physician at the Stanford-Yahoo Wellness Center, as well as the Quality Lead for 3 employer-based onsite clinics in San Jose and San Diego, CA. His clinical interests include preventive medicine, quality improvement, and medical education.